Do you need classroom curricula for teaching English language arts, 21st century skills, or social-emotional learning? Check out these high-quality books created by the team that brought you Writers INC and Write Source! View a complete list of this resource. Are you looking for online, interactive curricula for writing and thinking? You’ve come to the right place. Each writing unit leads students step by step through the process of creating a specific form, with models, examples, activities, assignments, videos, and much more! All units are optimized for viewing on any device, from smartphone to whiteboard. Do you want quick lessons that teach concepts or skills? Each 10-15 minute minilesson presents a concept and engages students in an activity. Minilessons are optimized to display on your interactive whiteboard, smart phone, or anything in between. When you want students to understand how writing is graded, turn to our vast selection of assessment examples. You'll find elementary and middle school models in all of the major modes of writing, along with rubrics that assess each example as "Strong," "Good," "Okay," or "Poor." Check out our growing storehouse of free infographics that teach English language arts, 21st century skills, and social-emotional intelligence. Search by content area, theme, or title. Do you have questions about teaching English language arts, 21st century skills, or social-emotional learning? Click a link to find a whole page that answers one of your frequently asked questions. The materials on ThoughtfulLearning.com are correlated to the Common Core Standards. These standards result from a state-led effort to prepare students for success in school, college, career, and life. Forty-eight states participated in creating the standards. Governors and commissioners of education started with the best standards in existence and folded in best practices from top-performing countries. Teachers and thinkers shaped the result, as did public feedback. Would you like to learn more about English language arts, 21st century skills, and social-emotional intelligence? You’ll find loads of videos for you and your students. 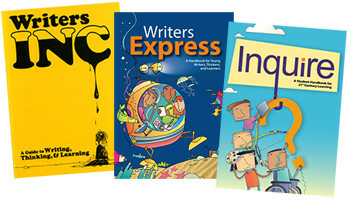 The new Writers Express is the perfect resource to help 4th and 5th grade students become better writers, readers, test takers, and learners. This student handbook overflows with writing guidelines, models, checklists, tips, and much more. The 2016 edition includes updated student models and follows the latest state standards. 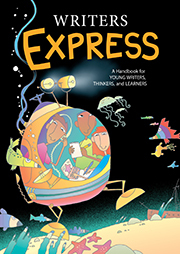 Learn more about the new Writers Express. Whether you are preparing students for college and career or are a workplace writer yourself, you need the free online Write for Business guide! Optimized for viewing on any screen from smartboard to smartphone, Write for Business is perfect for classroom instruction as well as for guidance throughout your workday. The Inquire student handbook and teacher’s guide teach 21st century skills, traditional study skills, the inquiry process, and project-based instruction. Students gain skills that help them in all classes and make them ready for college and career. Learn more about Inquire Elementary, Inquire Middle School, and Inquire High School. These teaching resources contain hundreds of 10-15 minute lessons that help your students develop their social and emotional intelligence. Learn more about In Focus (Grades K-2), In Focus (Grades 3-5), and In Focus (Grades 6-8). 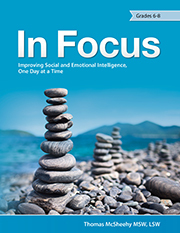 How did the In Focus program improve students' social-emotional intelligence? What do teachers think about using In Focus to teach social and emotional intelligence? Why should we teach social and emotional skills? The authors update The Writing Spot, giving kindergartners many fun pages on which to write, draw, color, and learn. Write One is a colorful handbook that encourages first graders to write about themselves and their world, with a skillsbook for extra practice with letters, words, sentences, and punctuation. Online writing units use instruction, examples, models, activities, and interactives to lead upper-elementary students through forms from paragraphs through essays and reports. 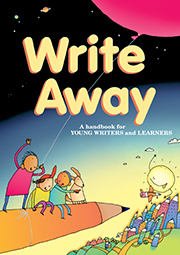 The new Write Away and its skillsbook help second graders develop strong writing, reading, and language skills. The new Write on Course 20-20 handbook and skillsbooks fully update the classic middle-school program, Write Source 2000. All Write helps middle school students catch up and thrive, whether English is their first or second (or third) language. New editions of the Write on Track handbook and skillsbook help 3rd grade writers and teachers. The authors of Writers Express revise and update their classic 4-5 handbook and skillsbooks, aligning them to the new standards. 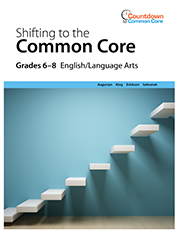 A set of 2-12 products helps teachers Shift to the Common Core. 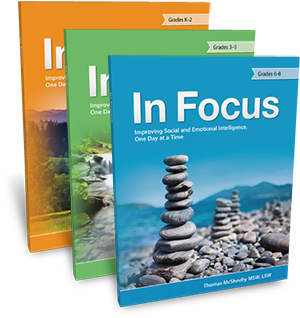 The K-8 In Focus series presents hundreds of 10-minute activities to improve social and emotional intelligence. 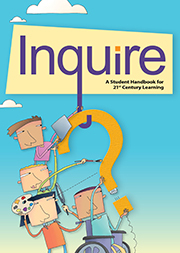 The Inquire 4-12 handbooks help students gain 21st century skills. 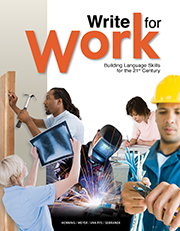 The work text Write for Work teaches students workplace writing skills. 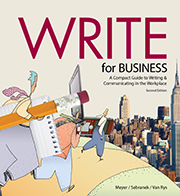 The second edition of the Write for Business handbook helps workplace and government writers. 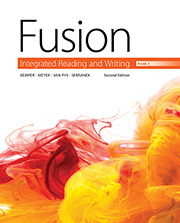 The authors start work on COMP, Write 1 and 2, and Fusion, which guide college writers. 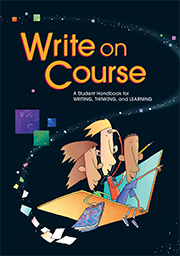 The middle-school writing handbook Write on Course replaces best-selling Write Source 2000. The authors complete their K-12 Write Source series. 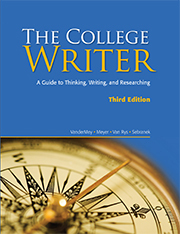 The Writing Spot and Write One complete the handbook line, K-college. 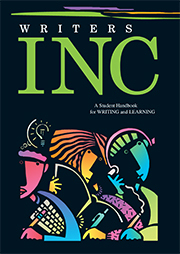 A revision of Writers INC updates the classic high school writing handbook. The authors create Write Away for second-grade writers. 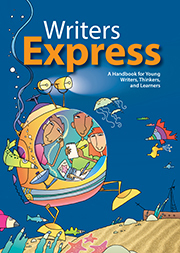 The previous edition of the Writers Express 4th grade handbook is published. 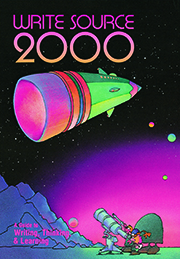 The authors celebrate a new millennium with Write Source 2000, a handbook for middle school. 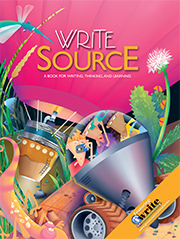 Houghton Mifflin creates Great Source to handle the whole line of Write Source materials. 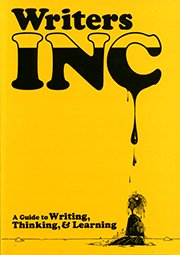 The classic yellow-covered Writers INC launches a new revolution in writing handbooks. 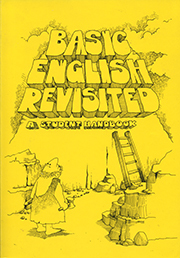 The authors begin with Basic English Revisited, a handbook for high school writers.